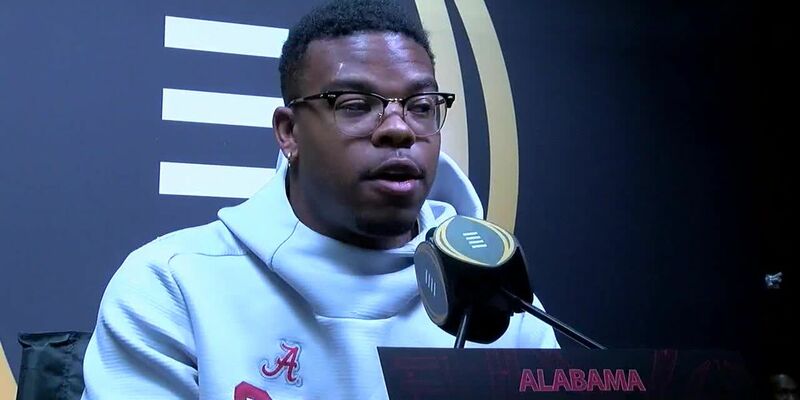 Damien Harris, Hale Hentges, Christian Miller and Ross Pierschbacher were honored Saturday before Alabama’s A-Day scrimmage. 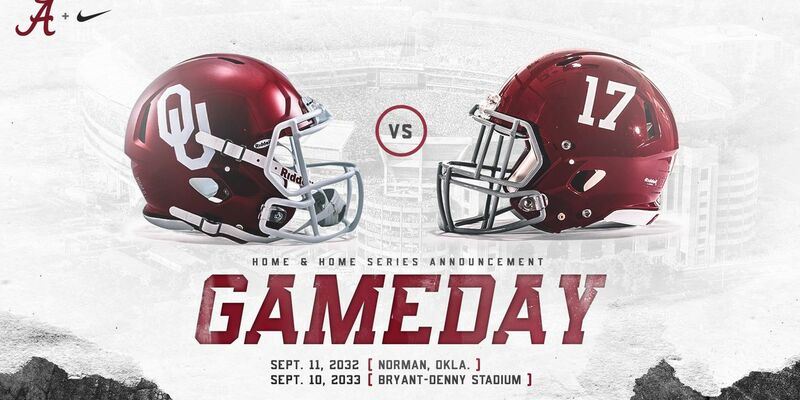 The University of Alabama and the University of Oklahoma announced a home-and-home football series Tuesday. The games will be played in 2032 and 2033. Basketball Player Kira Lewis has confirmed that he will be staying at the University of Alabama. 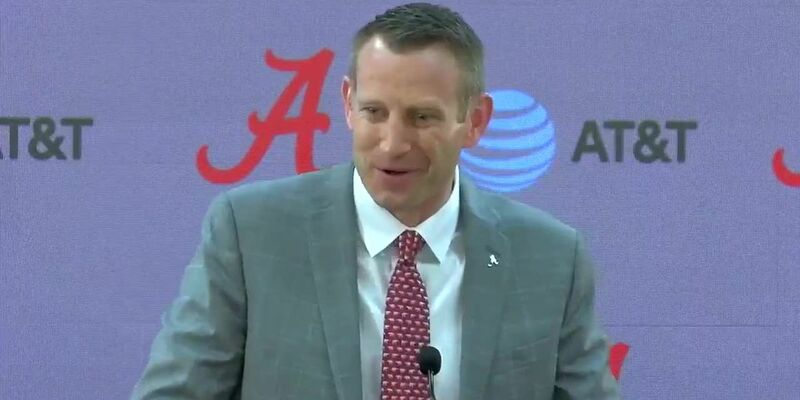 Nate Oats has been named head coach of the Crimson Tide men’s basketball program. 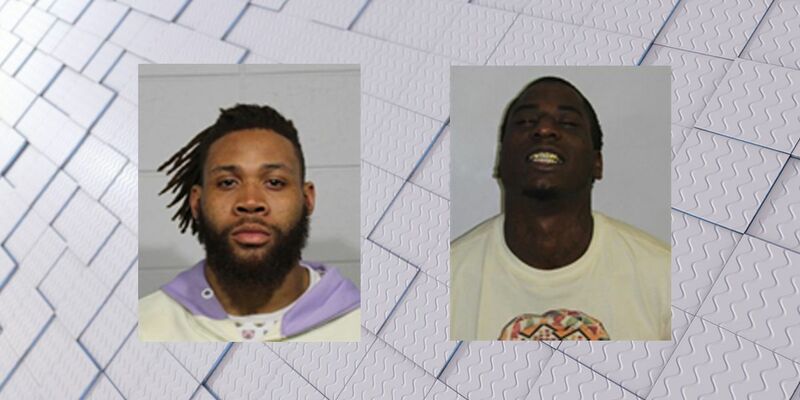 The Alabama men's basketball team saw its season come to an end with an 80-79 overtime loss to Norfolk State. 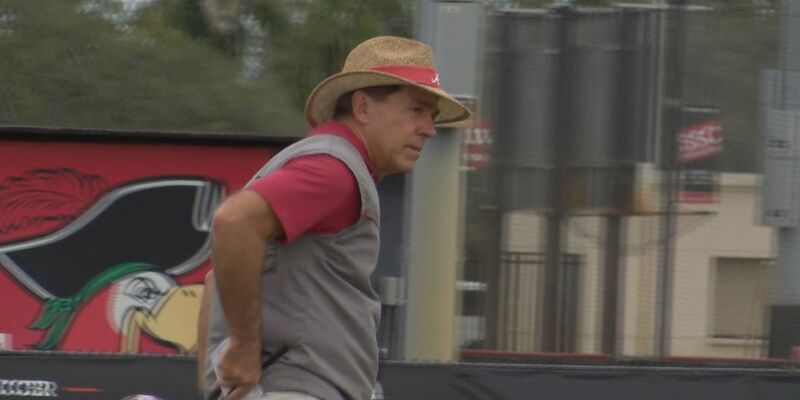 Nineteen Tide players worked out in front of every NFL scout Tuesday afternoon at Alabama’s Pro Day in Tuscaloosa. 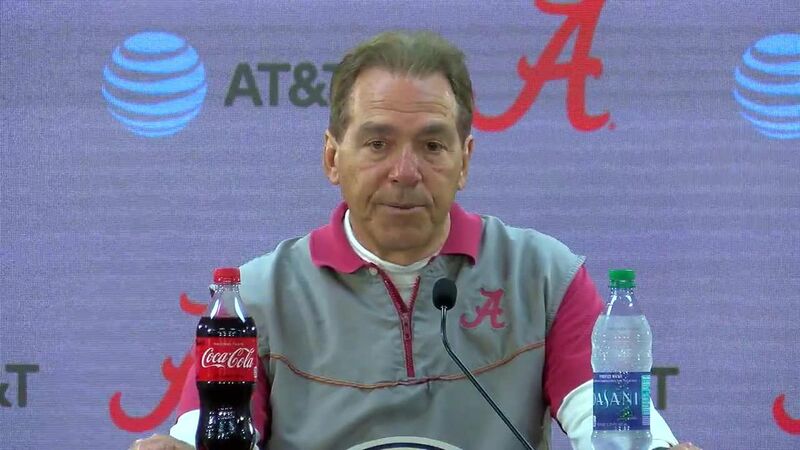 Alabama used a big second half to get past Ole Miss 62-57. 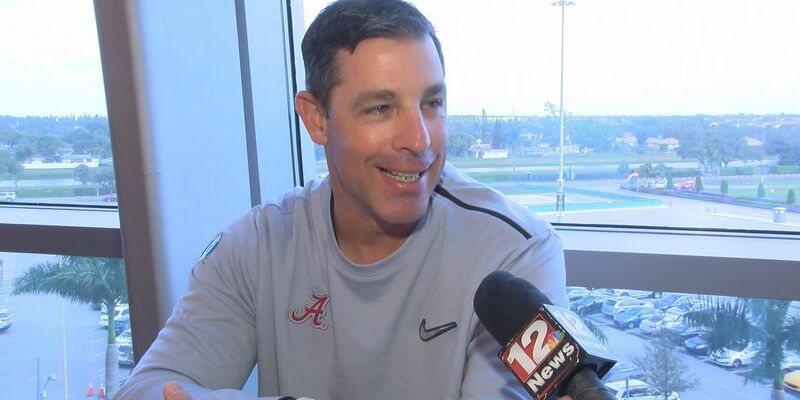 Steve Sarkisian is returning to Alabama as offensive coordinator, a position he held for the 2016 team in the national championship game loss to Clemson. 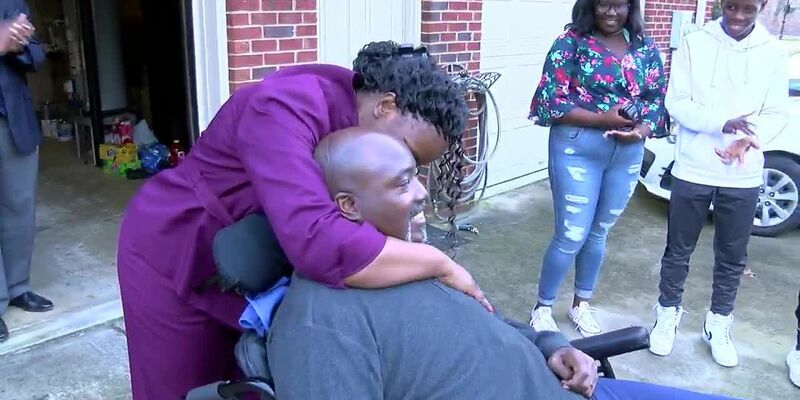 Former University of Alabama football player Willie Wyatt and his family receive a special van to help in his battle against MS. Wyatt was presented the gift recently and the WBRC camera's were on hand for the presentation. 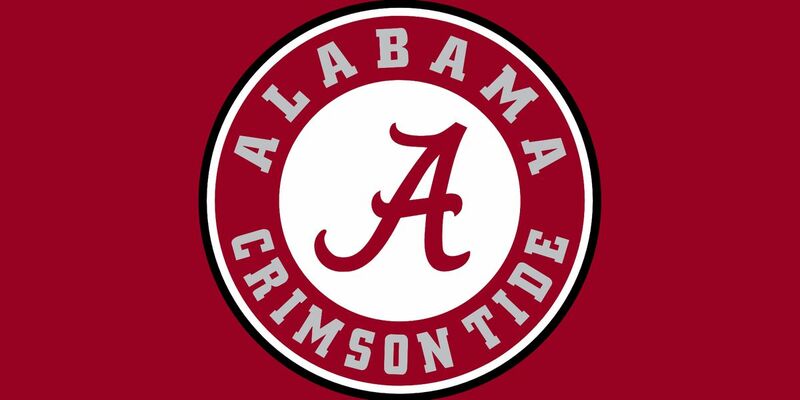 The University of Alabama announced Friday that the 2019 Golden Flake A-Day Spring Football Game will be played on Saturday, April 13, at 1 p.m. 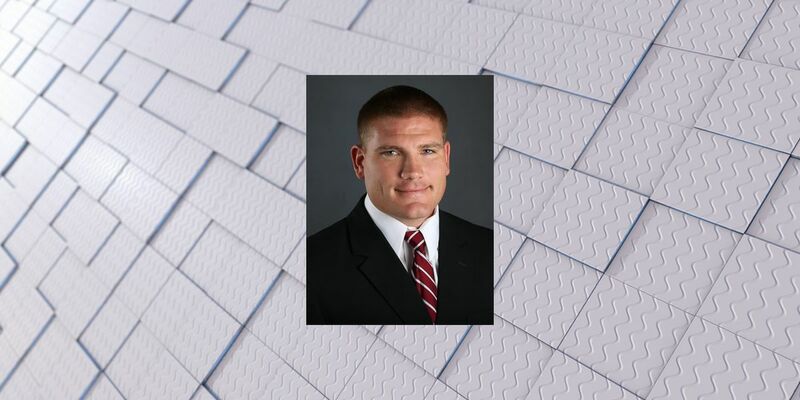 Multiple sources report University of Alabama Defensive Coordinator Tosh Lupoi is leaving the Tide for a position on the Cleveland Browns coaching staff. 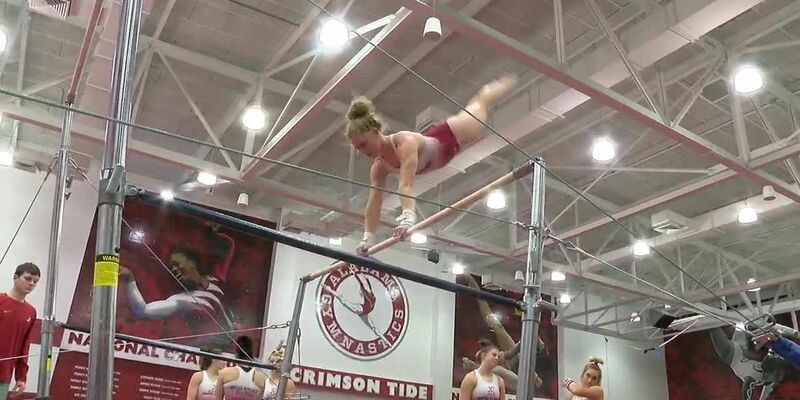 In the wake of UCLA gymnast Katelyn Ohashi's viral video perfect 10 WBRC stopped by the University of Alabama gymnastics squads practice to find out how tough perfection can be in the sport. 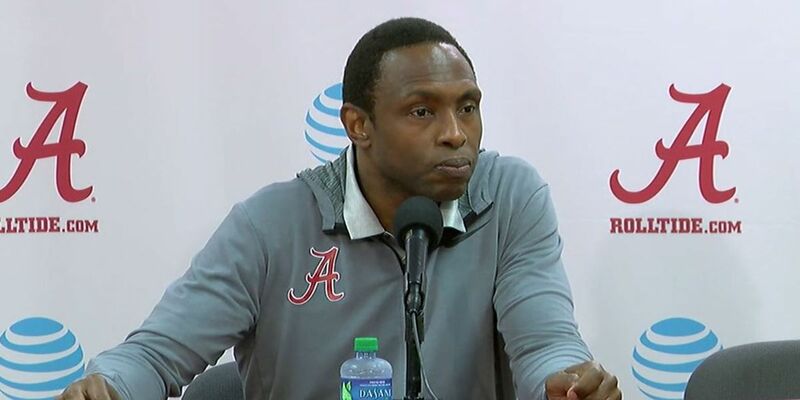 The Alabama men’s basketball team fell in a heartbreaker to Texas A&M Saturday afternoon, 81-80. 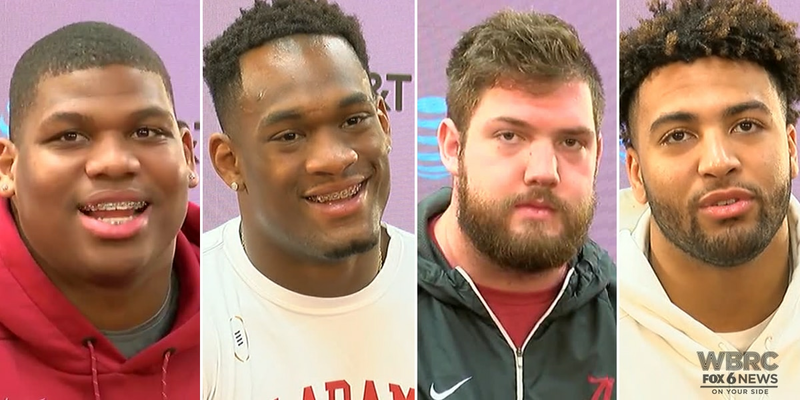 Offensive lineman Jonah Williams, defensive lineman Quinnen Williams and running back Josh Jacobs made their announcements Friday morning at the Mal Moore Athletic Complex. 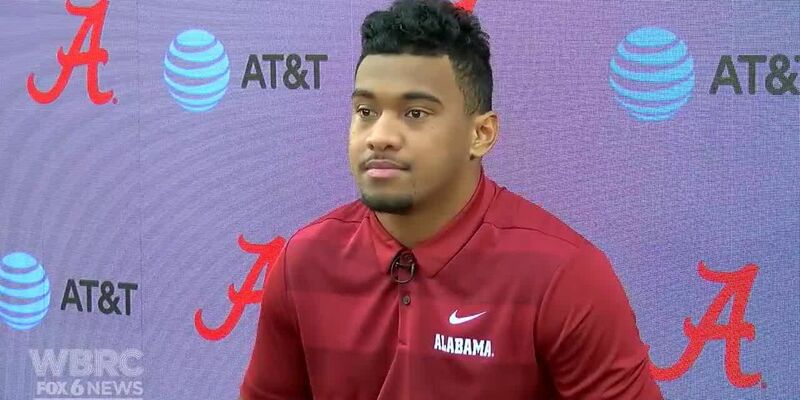 Watch as Tua Tagovailoa warms up for the CFP title game. 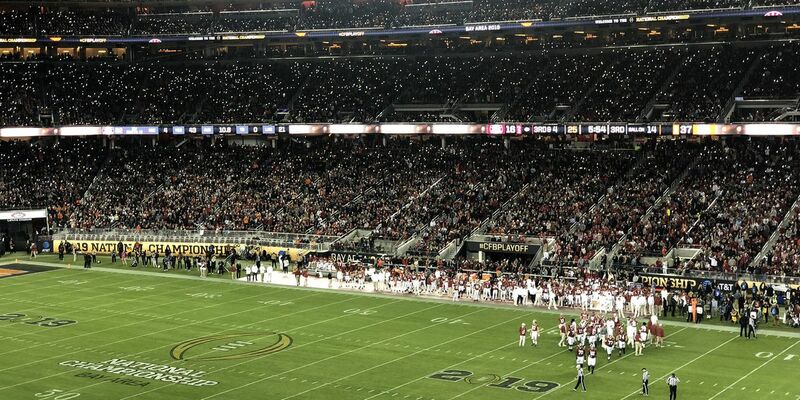 A look around Levi’s Stadium, where Alabama and Clemson will meet once again in the College Football Playoff National Championship. 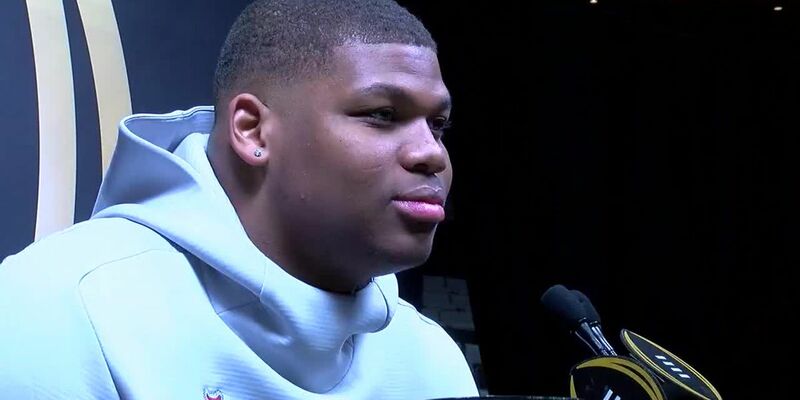 Why did Quinnen Williams flip from Auburn to Alabama? 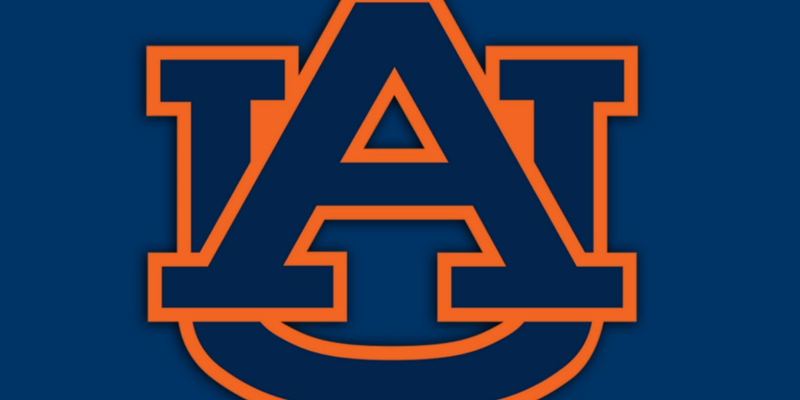 The former Wenonah standout grew up a Tigers fan, so he committed to Auburn as soon as he received the offer. 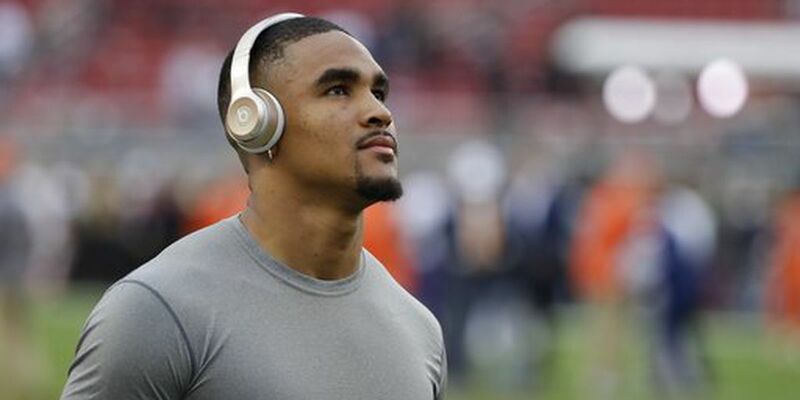 Jalen Hurts met his biggest fan on Saturday at CFP Media Day. 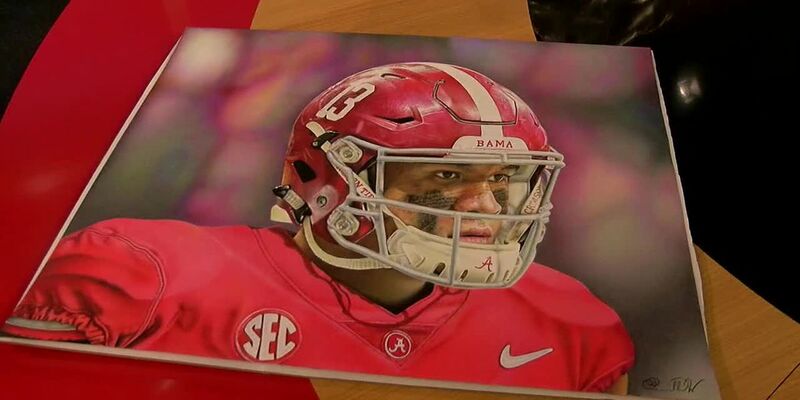 Quinnen Williams is making a positive impact on his hometown. Alabama defenders respect Clemson first-year quarterback Trevor Lawrence. 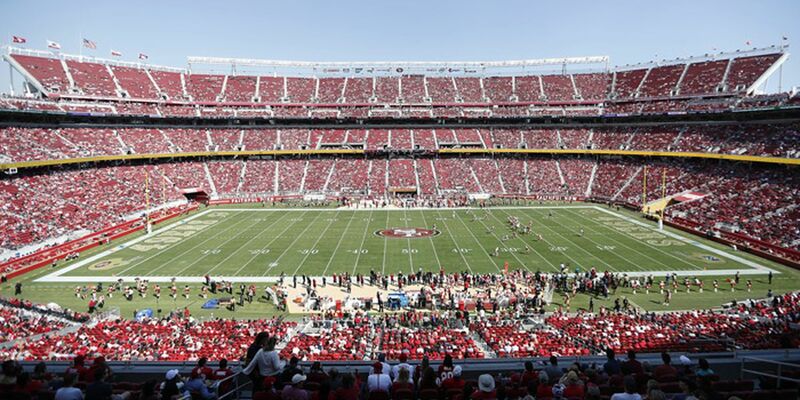 How many Tagovailoas will be in attendance for Monday’s championship game? 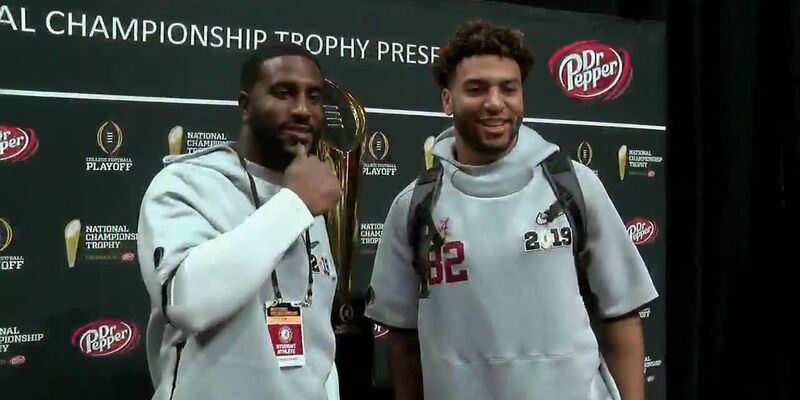 When asked at CFP Media Day on Saturday, the first-year Alabama quarterback said he couldn’t confirm a number of family members attending Monday's game. Nathan’s World Hot Dog Eating Champion Joey Chestnut caught up with the Crimson Tide on Saturday at CFP Media Day. 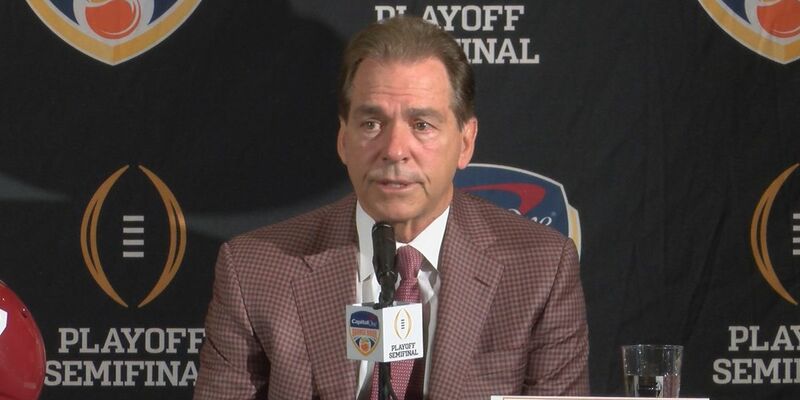 Nick Saban took the podium Saturday morning to address media before Monday’s CFP National Championship Game. 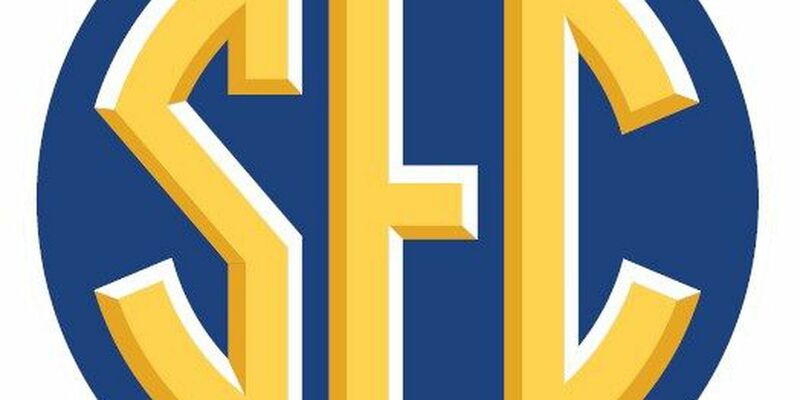 National Championship tickets continue to drop especially on the secondary market. 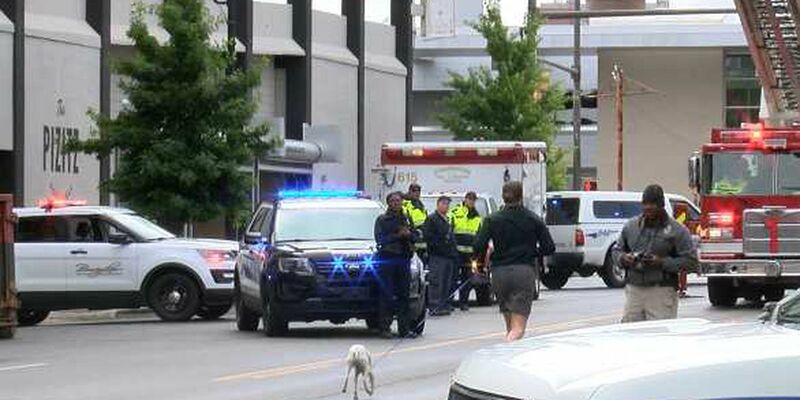 When it comes to Alabama football, Crimson Tide fan Llyas Ross will pretty much do anything - even if it’s living on a billboard for 12 straight days. 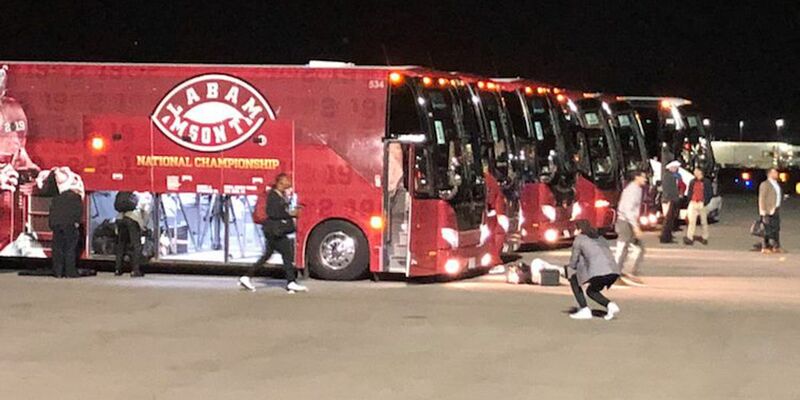 The defending national champs arrived in California on Friday night. 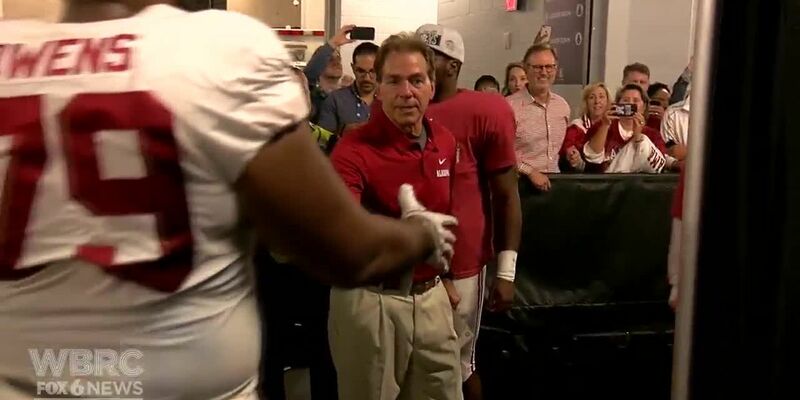 Alabama is officially West Coast bound. 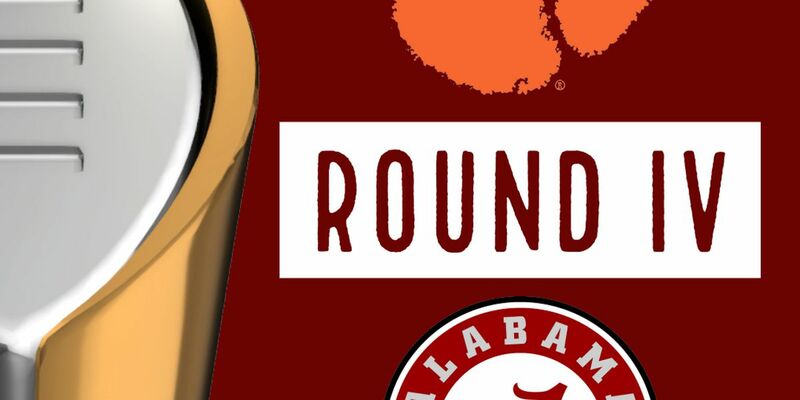 It's official: The Crimson Tide and Tigers are playing in the CFP ... again. Four meetings in four years. 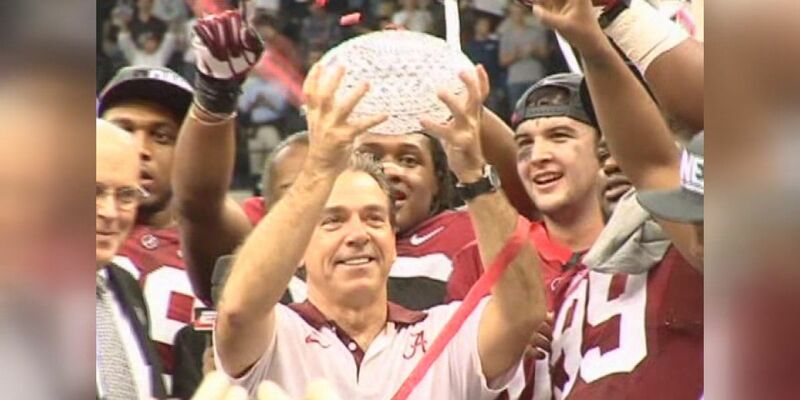 Twelve years ago today, Nick Saban landed in Tuscaloosa as Alabama’s new head football coach. 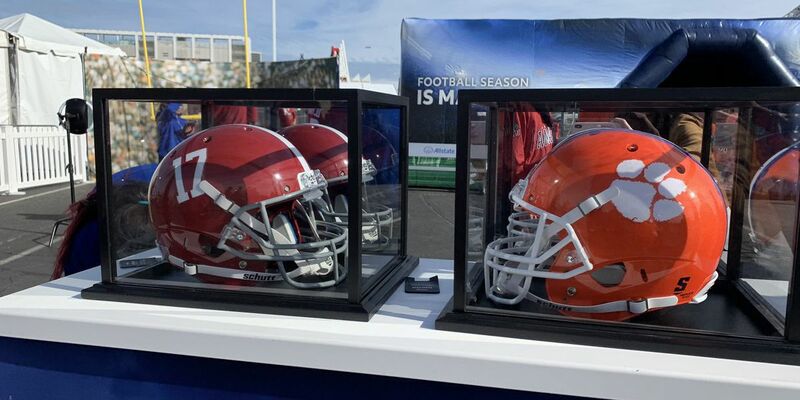 Tide fans heading to CaliforniaThere are still game and airline tickets available for the college football national championship, but time is running out. Did the CFP Committee get it right? 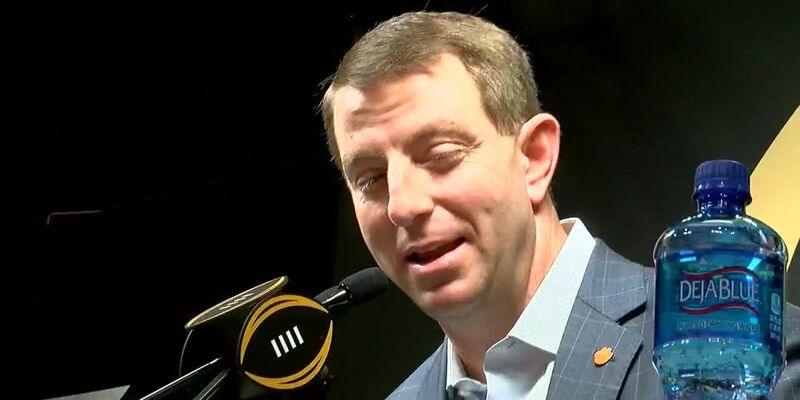 The two College Football Playoff semifinal games on Saturday left some people wondering, did the CFP committee get it right? 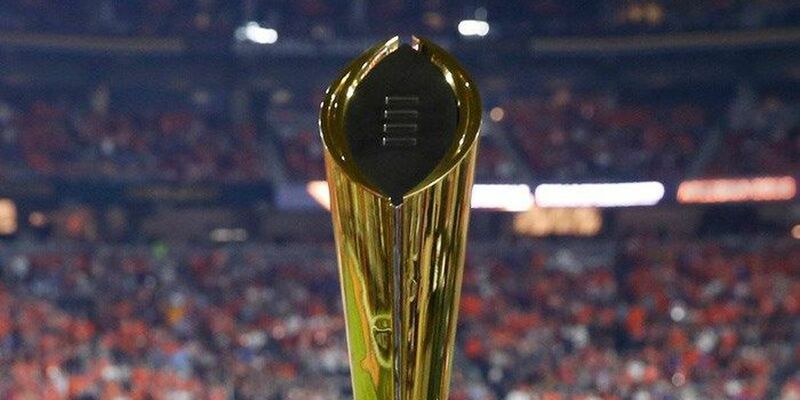 How many oranges are in the Orange Bowl trophy? 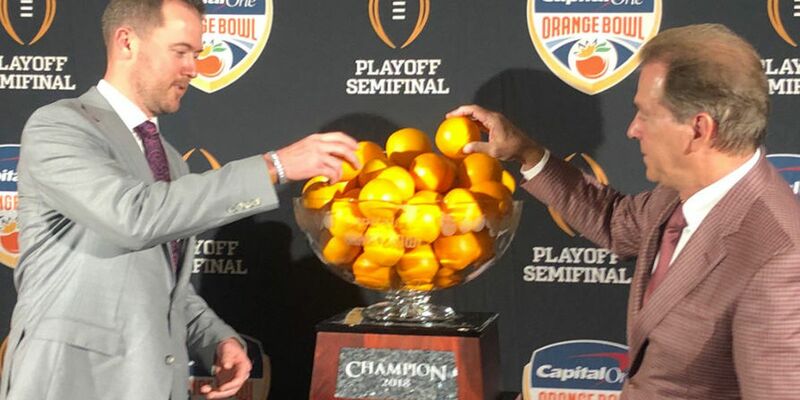 If you look at the Capital One Orange Bowl trophy and wonder how many oranges fit in the bowl on top? 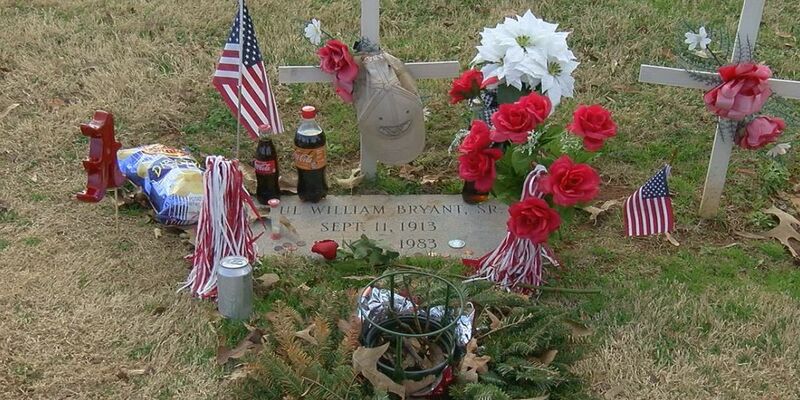 Alabama’s offense started a new tradition this football season. 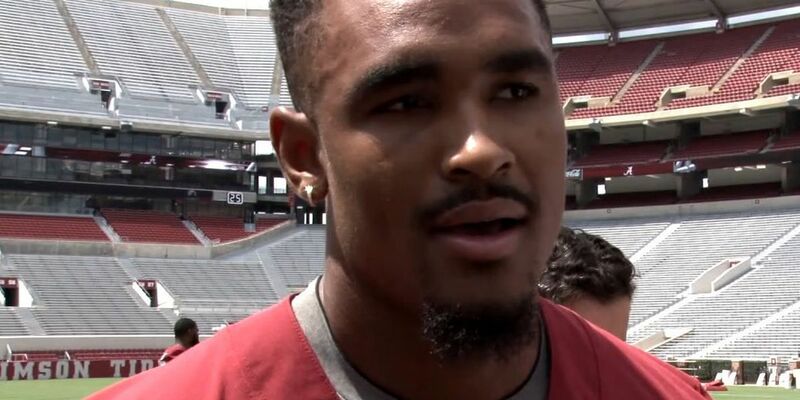 Every Thursday night, the Tide’s offensive players, like Henry Ruggs, Tua Tagovailoa, and several others, go over to Offensive Coordinator and new Maryland Head Football Coach Mike Locksley’s house. 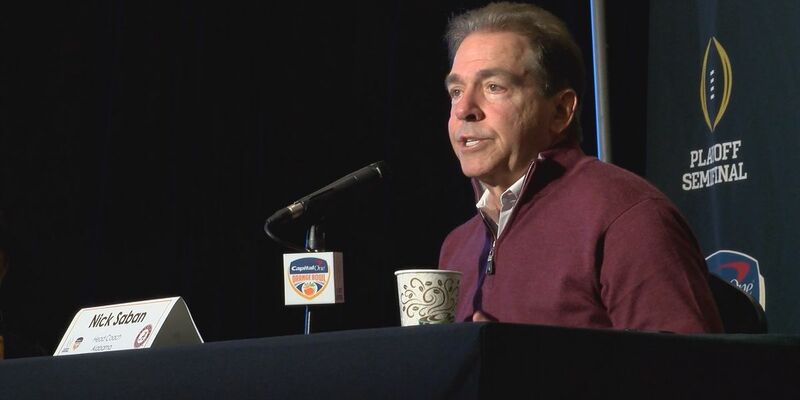 Alabama Head Football Coach Nick Saban said he was “old fashioned” when it comes to communicating with his players, coaches and recruits. 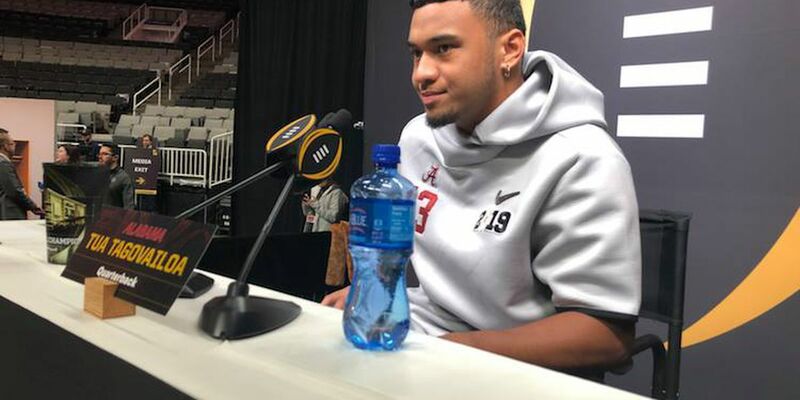 All eyes are on Tagovailoa, who exited the SEC Championship Game earlier this month with an ankle injury. 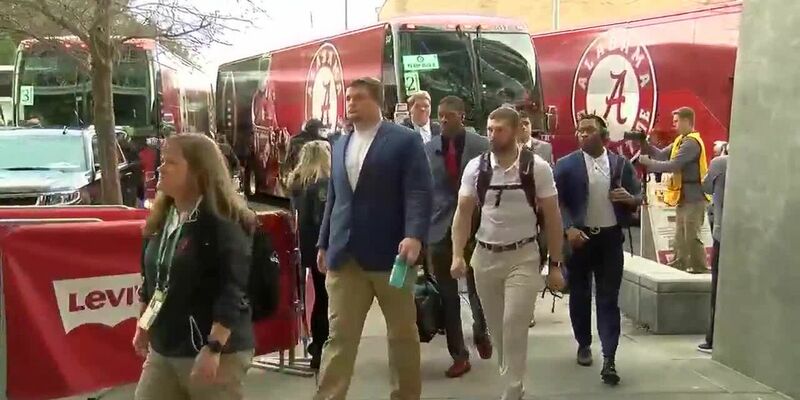 The University of Alabama football team was able to leave campus relatively quietly Monday despite a pretty big game upcoming game. The Athletics Director for Maryland announced Michael Locksley will be the next Maryland Football Head Coach. 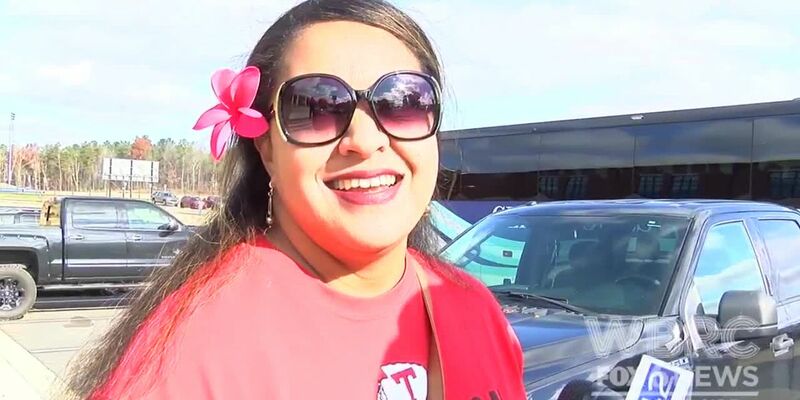 Alabama quarterback Tua Tagovailoa’s mom, Diane Tagovailoa, said her son is “feeling great” after suffering an ankle sprain against Georgia in the SEC Championship Saturday night. “He just looks really intense in the drawing. It’s not just about his facial expressions, it’s the atmosphere the background creates. 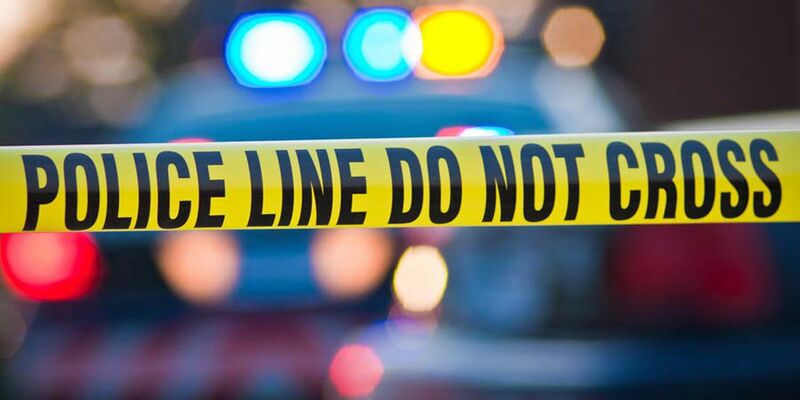 It is to me I hope it comes across that way to everybody else,” said Wadsworth. 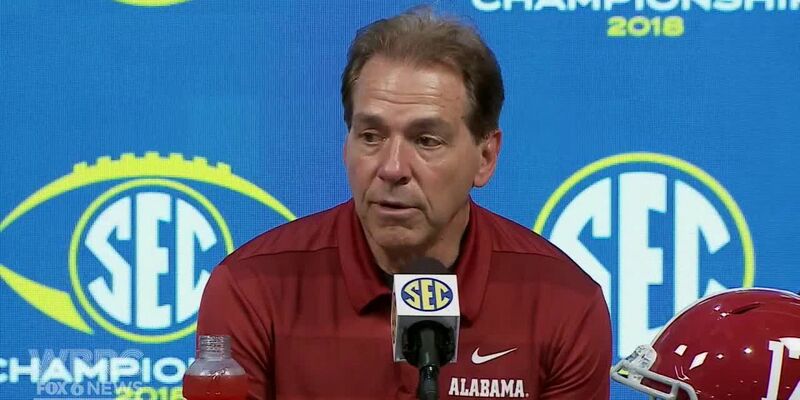 Alabama coach Nick Saban didn’t just congratulate the team on their performance on Saturday, he wanted to thank them each individually. 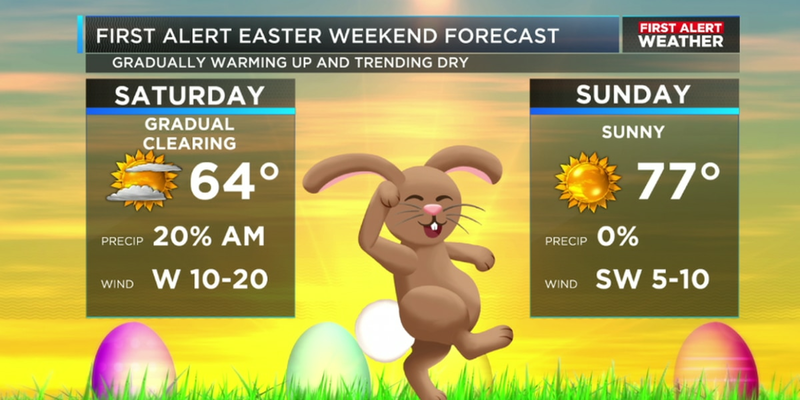 College football fans have been waiting all week for this moment. 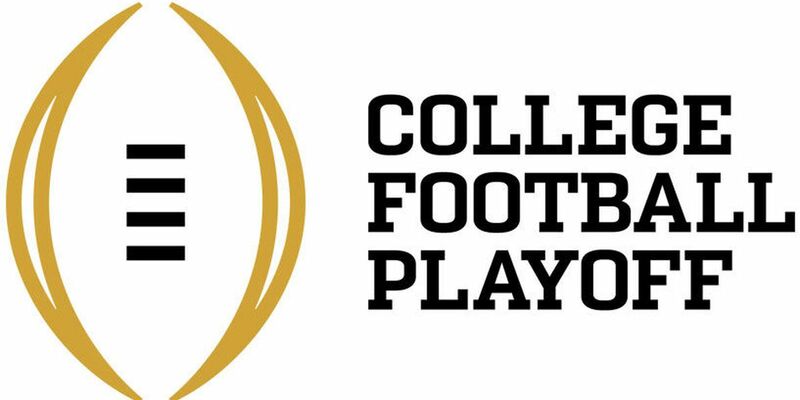 Later today, the College Football Playoff Committee will reveal the four teams that will be playing for the National Championship. 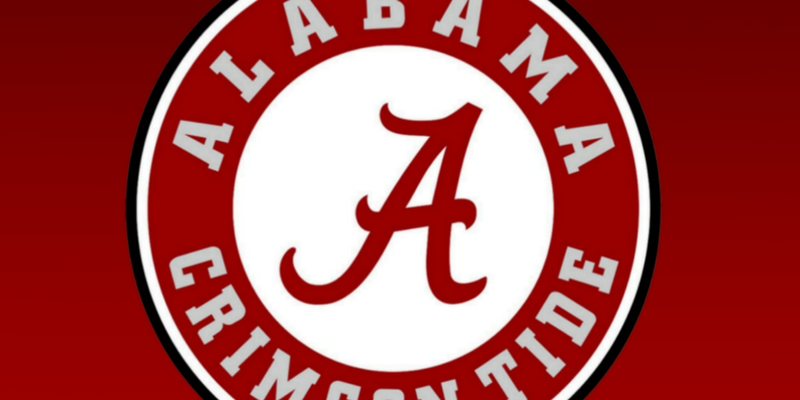 A huge comeback victory for the Crimson Tide in SEC Championship.